A free DEMO version of an Expert Advisor (EA) used to create a RangeBar custom chart and provide real-time updates. It is an MT4 "offline" range bars chart equivalent. This demo version is restricted to fixed settings of 210 point RangeBars with the ATR based bars size calculation disabled. Daily synchronization feature is enabled and the demo is set to only show the last 7 days of history. The simplicity of use - Attach the EA to any time-based chart that you wish to see Range Bars for, input your desired parameters and you are ready to go! 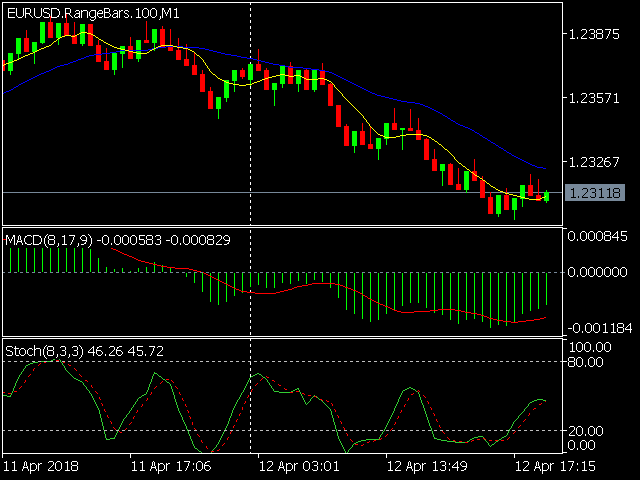 You can attach any MT5 compatible indicator or template to the custom chart to perform your technical analysis. 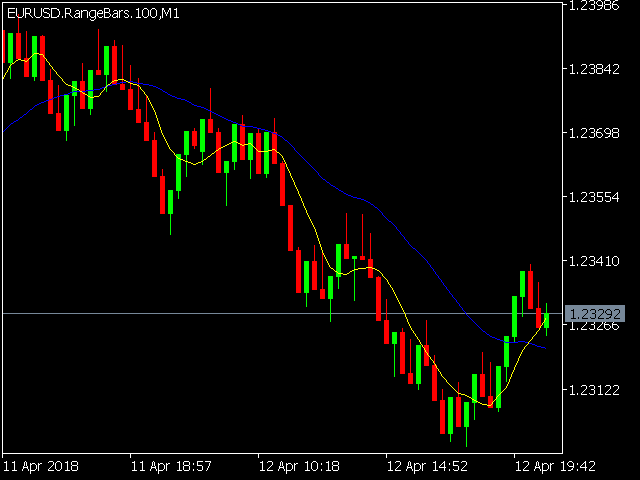 Range bar size (in points) - Defines the size of the candle (high to low). 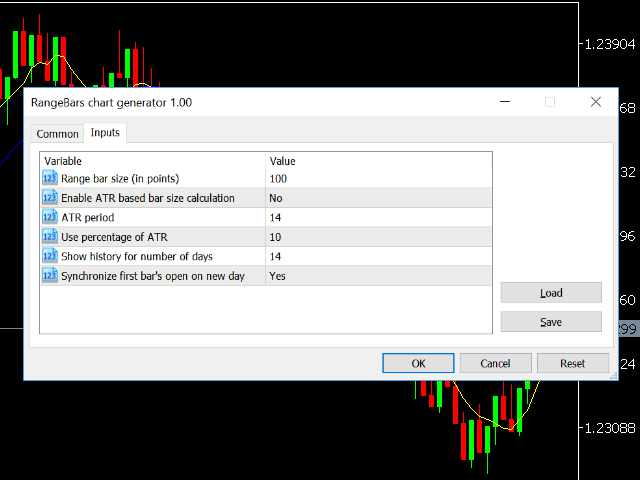 Enable ATR based bar size calculation - Automatic calculation of the candle body size defined by the reading of the ATR indicator (yes/no). ATR period - ATR indicator's period setting (1 to...). Use percentage of ATR - The percentage of the calculated value to use (1 to 100). Show history for number of days - (0 to...) Historical data for the desired number of days will be displayed. Synchronize first bar's open on new day - Synchronize the first candle's open price with the open price of the daily candle (yes/no). Override default custom chart name with - (user define chart name). Apply template to custom chart - (user-defined template that will be applied to the range bar chart. If you have a "default" template saved, this will be applied by default).